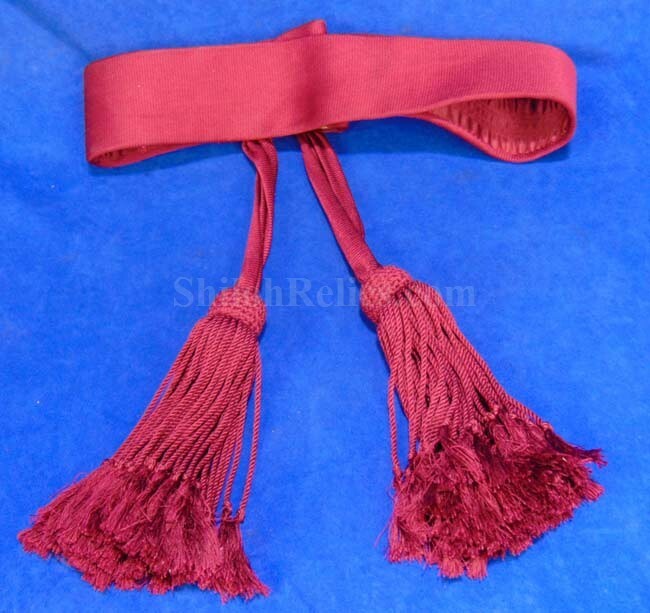 This is a great looking dress sash from the turn of the century. This one was made after the Civil War and displays beautifully from all angles. 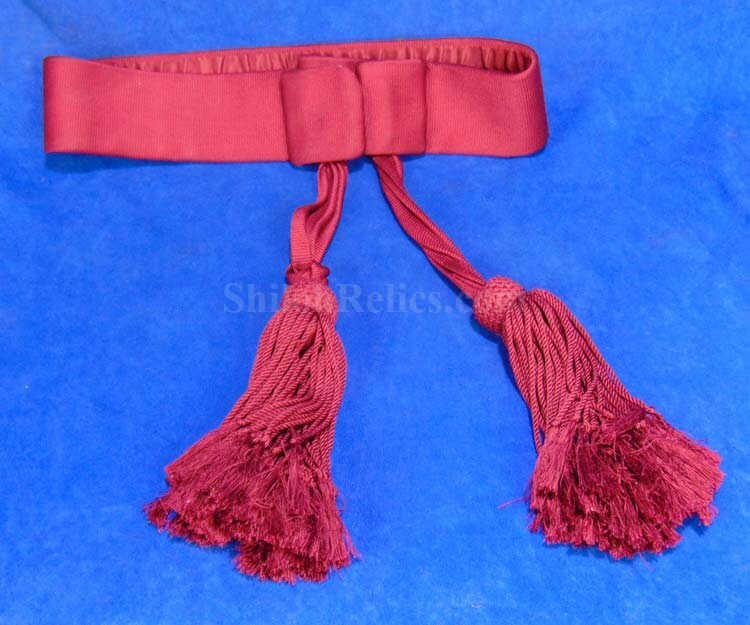 The body of the sash has the deep crimson color. 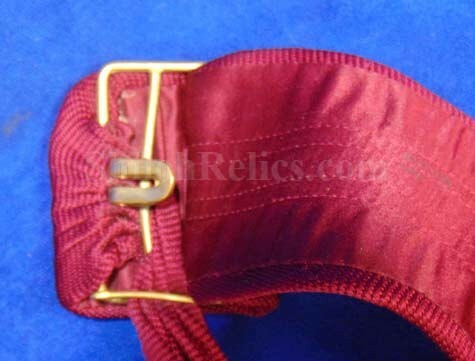 It has the original brass buckles and adjuster intact. 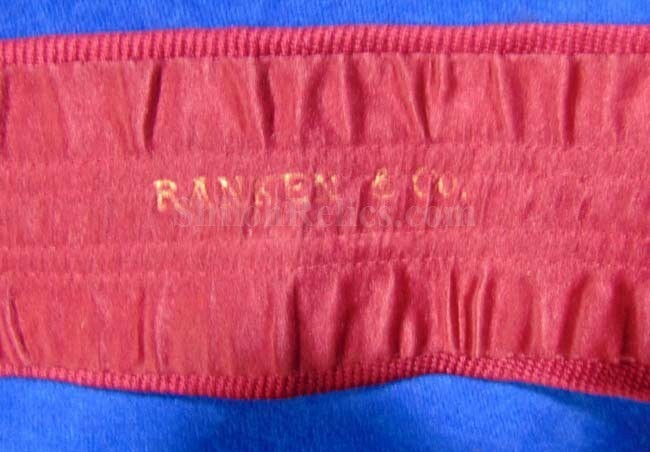 The inside of the sash has the maker's mark of "RANKEN & CO" still visible. 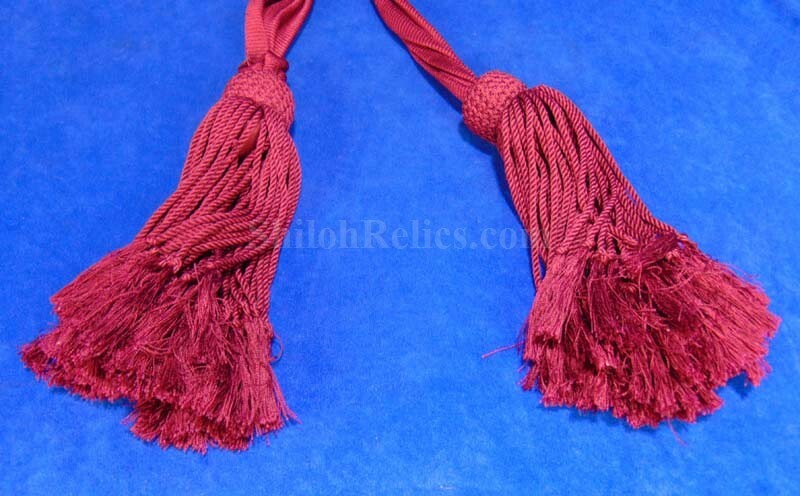 The original tassels are intact with a gorgeous look. 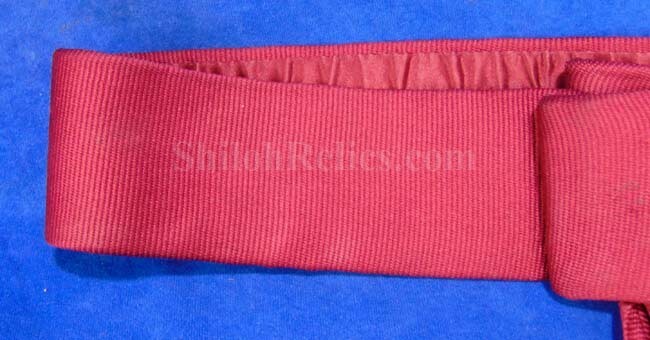 This one is very small in size and could have been for a cadet of some type. 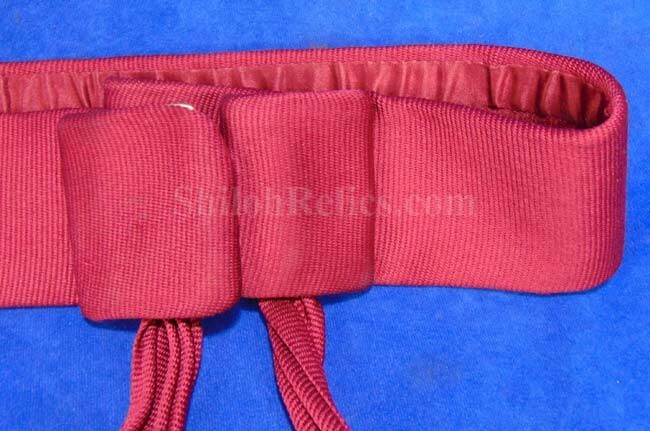 It is a beauty all the way around.